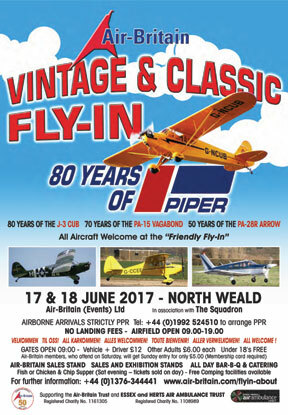 This year's Air-Britain Fly-In is being held at North Weald Airfield, in Essex. North Weald has rich history and has a thriving and diverse general aviation and warbird community. This feature looks back at that history and at some of the things you may find when you come to our Fly-In. The airfields history can be traced back to the Great War. It was developed as a grass strip during World War I as one of a number of airfields created on the eastern approaches to London to help counter the threat from Zeppelin airships. Opened in August 1916, the first unit to move in were a detachment from 39 (Home Defence) Squadron flying the Be-2. A notable success for 39 Squadron came on September 2 1916 when Lt Leefe Robinson, flying out of Sutton's Farm Hainault, downed the Zeppelin SL11 over Cuffley, in Hertfordshire, and, in so doing, earned himself the VC. However, the first claim made from a pilot flying out of North Weald was made on October 1, when 2nd Lt Tempest intercepted Zeppelin L31 coned in some searchlights and shot it down over Potters Bar. He was awarded an immediate DSO. This proved to be the last Zeppelin downed by 39 Squadron because, by now, the Zeppelin threat was on the wane. To help counter the threat of the giant Gotha bombers the three flights of 39 Squadron was amalgamated at North Weald in May 1917, using the more capable Bristol F2B Fighter. On May 19 1918, Lt Arkell, along with his gunner Air Mechanic Stagg, successfully intercepted a Gotha that had already been in combat with Sopwith Camels of 78 Squadron and downed it over East Ham. With the ending of the First World War the newly formed RAF was dramatically cut back. By the end of 1919 all the resident squadrons were disbanded, leaving North Weald devoid of aircraft. During the period 1920-1926 the airfield was kept on Care and Maintenance and used mainly for grazing. During the mid-twenties the RAF gradually began to expand once again. One of the airfields selected for reopening and modernisation was North Weald and work began in 1926 with the construction of two 'A' type hangars along with much improved base facilities and living accommodation. The airfield reopened on September 27 1927 and two weeks later, 56 Squadron moved in from Biggin Hill equipped with Siskin IIIA aircraft, soon to be joined by 29 Squadron, also flying the Siskin. In the period between 1930 and 1937 various squadrons moved in and out of North Weald, with the types operated gradually becoming more sophisticated. From the Siskins, 29 Squadron converted onto the Hawker Demon and 151 & 56 Sqns moved from Gloster’s Gauntlets and Gladiators, until when in 1938 they converted to Hawker Hurricanes. At this time of increasing tension in Europe the facilities at North Weald were further enhanced by the construction of two 'C' type hangars, two permanent runways, a perimeter track, additional blister hangars and improved fuel storage compounds. On the day prior to war being declared in May 1939 17 Squadron, flying the Gloster Gauntlet, moved into North Weald and where it soon converted to the Hawker Hurricane, before moving to Debden. On this same day 604 Squadron, equipped with Blenheim Mk1Fs also moved in, they stayed until moving on to Manston in January 1940. On September 3 1939 North Weald's Operations Record Book recorded the following signal received from Headquarters 11 Group: "War has broken out with Germany only". With the German invasion of the low countries on May 1940 the North Weald Squadrons (25, 56, 111 and 151) were soon in the thick of the battle, flying from advanced bases in Belgium and France and, all to soon, covering the withdrawal at Dunkirk. At this period of time North Weald's Squadrons were regularly flying out of the satellite strip at Stapleford Tawney or from Rochford. During the Battle of Britain North Weald Squadrons mounted daily patrols against Luftwaffe formations, attacked coastal towns and shipping in the Channel and latterly defended the airfields in the south east from the onslaught. With the Battle of Britain at its height, North Weald's Squadrons were in the thick of the fighting and the airfield was often subject to attack by the Luftwaffe. As a result of losses, on September 1, 56 and 151 Squadrons were transferred to rest and re-equip, at Boscombe Down and Digby respectively. 249 Squadron took their places at North Weald and 46 Sqn., North Weald's satellite at Stapleford Tawney. As a result of the continuing threat of attack, the Station Headquarters and the Operations Room was moved to nearby Blake Hall, which now houses a small museum depicting its role. According to the Station's Operations Record Book, claims by Squadrons flying out of North Weald, or on detachment from the airfield, during the Battle of Britain amounted to 108 enemy aircraft destroyed, 68 probably destroyed and 65 damaged. At the same time, these Squadrons lost 79 aircraft (to all causes) and a further 50 damaged, with 21 pilots either killed or missing. The period 1941 to 1944 saw a regular procession of RAF fighter squadrons rotating through North Weald as each, in turn, carried out operations over France and the Low Countries. From May 1942 two Norwegian Squadrons (331 & 332 Sqn.) spent most of the next two years flying from North Weald and formed a close bond with the Station. This was commemorated by the erection of a memorial in honour of the many Norwegians who flew from North Weald, which was unveiled by the Crown Princess of Norway, Princess Astrid, on June 19 1952. This memorial still stands on the site of the old main entrance of the airfield by Ad Astra House, which itself now houses the North Weald Airfield Museum and is full of material relating to the airfield. Most of the Squadrons based at North Weald flew Spitfires, although 486 Sqn, flying Typhoons, were in residence for a short time during 1942. The period in late 1943 to early 1944 saw several Squadrons flying Mustangs employed on low-level reconnaissance missions. With the resumption of peace North Weald found itself transferred to 46 Group Transport Command and, on July 1 1945, it became home to 301 and 304 Polish Squadrons flying Warwick CIII aircraft. However, North Weald's runways were not really suited to these heavily laden aircraft which were employed on transport flights to the Mediterranean area and, as a result, they moved to Chedburgh on September 4 1945. On September 29, flying once again ceased at North Weald as the airfield was placed on Care and Maintenance, apart from the facilities were used by the Aircrew Selection Board. In March 1949 North Weald once more returned to Fighter Command and, on the 27th, 604 Auxiliary Squadron moved in with Spitfire XVIs to be joined the following day by 601 Auxiliary Squadron flying the same type. At the end of the year both Squadrons began conversion to Vampire F3s and, during March 1950, 72 Squadron equipped with Vampire FB5s joining the Auxiliary Squadrons at North Weald. North Weald's facilities were further enhanced in 1951 to cater for the second generation of jet fighters that would soon be coming into service. The runways were extended with the provision of Operational Readiness Platforms at each end of the main runway and a modernised Control Tower. Two T2 Hangars were transferred from nearby disused former USAAF bomber bases and erected on the western side of the airfield and a new fighter pan was installed. This work was completed in the latter half of 1952, and largely remains as the layout of the airfield today, barring the addition of a new access road and gatehouse in recent years. During 1952 the three resident Squadrons converted to Meteor F8s. On December 2 1953, 111 Squadron was reformed at North Weald flying Meteor F8s and then from June 1955 Hunter F4s. When under the command of S/Ldr Roger Topp, who was very keen on aerobatics, Treble-One was practising aerobatic manoeuvres and quickly became famed as the Black Arrows. It was selected by the RAF Fighter Command as its aerobatics team in 1957, an honour which they held for the next three years. Early in 1957 the Auxiliary Squadrons were disbanded (604 in February and 601 in March) leaving Treble-One was the last operational RAF Squadron to serve at North Weald before it moved to North Luffenham in March 1958. After Treble-One had departed, the airfield was quickly run down with the last flying unit, The Station Flight, disbanding in July 1958 and the airfield passed to Care and Maintenance in October 1958 before closure in 1964. During 1968 North Weald relived some of its former glory and the sound of Rolls Royce Merlin engines returned, when it was used as a location for some of the scenes in making The Battle of Britain film. North Weald is home to an active and diverse flying community. It hosts about 150 based aircraft, with a diverse range of aviation tenants. These include Peter Teichman's Hangar 11 Collection of P-51 Mustang, Spitfire, Hurricane and P-40 Kittihawk and the Heritage Aircraft Trust/Gnat Display Team, who are located close to the pay-gate, specialise in the restoration and operation of Folland Gnat trainers, the aircraft which were used by the Red Arrows for much of the 1970-80s. The two main hangars on the western side of the airfield are operated by the appropriately named Weald Aviation, who look after a variety of private aircraft and ex-military jets, including rare a Mig 17 (Lim-5) and classic British jet trainers like the Jet Provost and Strikemaster. Often visiting aircraft can been see receiving care and maintenance from Weald Aviation such as the DH Venom or Westland Scout helicopter. On the apron nearby is also a Douglas DC4 that were originally brought to the UK for a film about the Berlin Airlift, which unfortunately did not get made. Also close by to Weald Aviation is one of the operating bases of the Essex & Herts Air Ambulance Trust, who operate an MD 900 helicopter. Our fly-in is used to help raise funds for the EHAAT, so please support this worthy cause by giving generously at their stand. 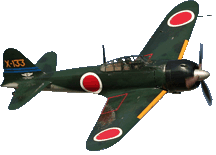 Probably the most well known tenant at North Weald, and whose help in organising our event has been invaluable, is The Squadron and its associated engineering company, North Weald Flying Services Ltd. The Squadron is the club for both home based and visiting pilots, offering an extremely friendly welcome. The Squadron’s facilities offers a NAAFI style restaurant and bar facilities, the atmosphere of which, more than adequately reflects the image of “an airfield somewhere in England 1940” which was the original concept behind the organisation. North Weald Flying Services Ltd offers hangarage and maintenance facilities to a large range of GA and warbird types. Their busy hangars can reveal anything from a Piper Cub to P51 Mustang. This gives a flavour of the history and scene today at North Weald. There are few airfields that can offer such a diverse range of active resident aircraft from homebuilds to vintage jets. Come along to our Fly-In and soak up some of the atmosphere, which we hopefully we can add further to with our Fly-In.